Insert professional Flash animations in your presentations. Easily control transparency, poster, focus, playback behavior, mouse events, Flash Vars, aspect ratio, hardware acceleration and more. Play your Flash in full screen or inside the slide. Swiff Player Professional Edition is the only tool that allows you to insert a transparent Flash animation into a PowerPoint slide. No code needed. No cryptic parameter. 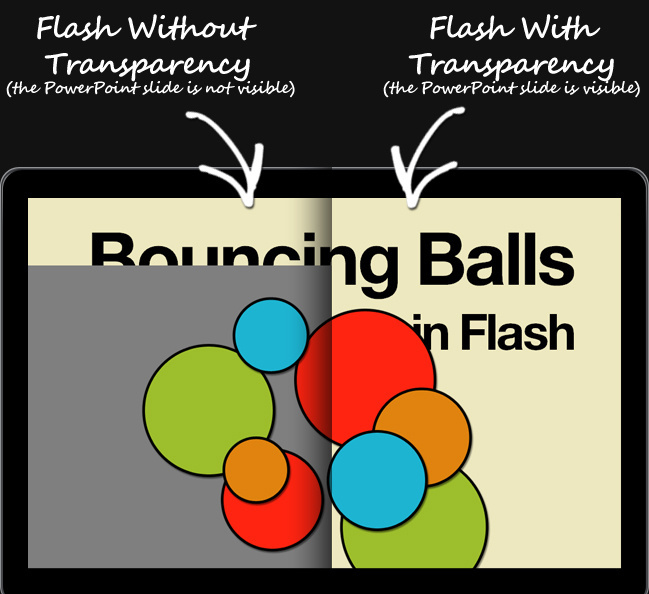 Simply use the "Transparency" check box in Swiff Player and your Flash will integrate perfectly with your slide. Furthermore Flash Hardware Acceleration can be enabled, even on a transparent Flash! - or a PowerPoint effect can start it. 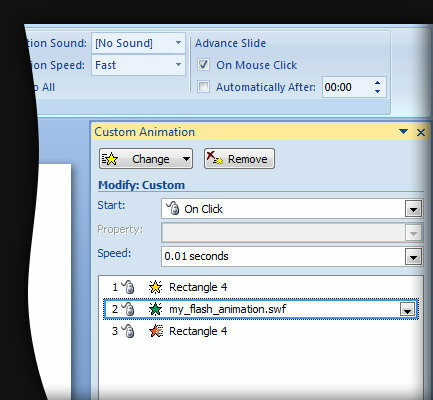 This enables you to control exactly the behavior of your Flash animation during the Slide Show. Insert transparent Flash animations at maximum speed and with hardware acceleration. Integrates with PowerPoint Animation Timeline via native PowerPoint Effects. Play your Flash Full Screen over the slide or inside the slide. Show/Hide the poster picture during the Slide Show. Select the poster picture from the Flash itself. Load external resources (images, videos, xml, etc), from the disk or the web. Start your Flash immediately, or click to play, or play with a PowerPoint effect. Prevent the Flash from stealing the focus during the Slide Show. 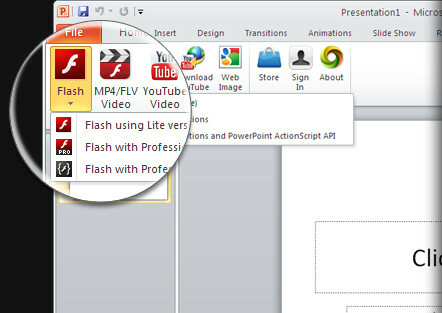 Link to file or embed the Flash in the presentation. Auto Hide the mouse pointer onto your Flash during the Slide Show. Control the Aspect Ratio of the Flash.